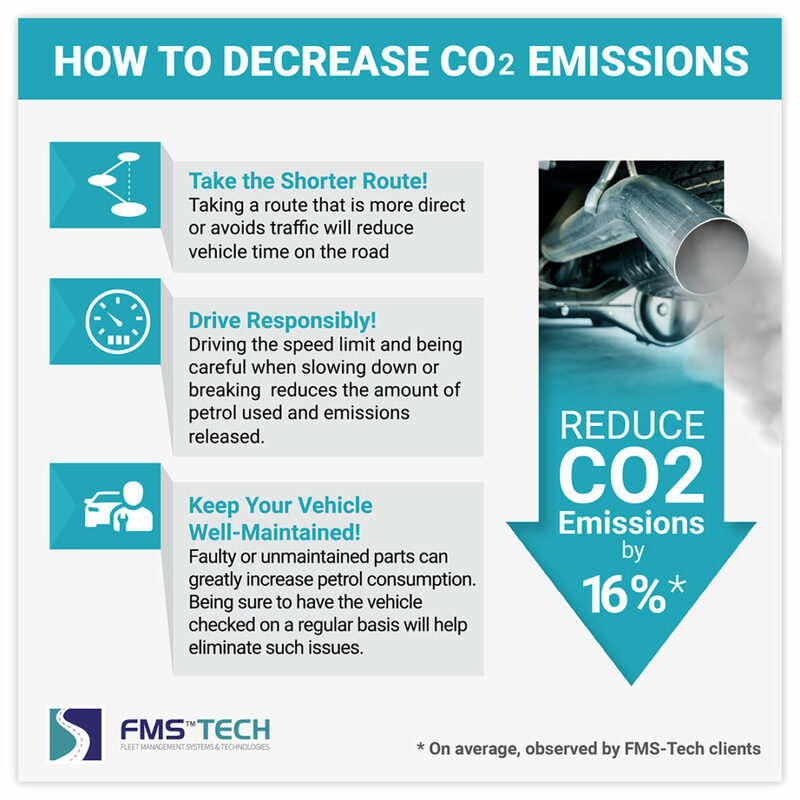 Did you know that FMS-Tech can help decrease your fleet’s CO2 emissions? By showing administrators and managers a complete map of their CO2 foot print including the vehicles emitting the most CO2 and the trends month to month, managers can identify problem areas and correct them to decrease the amount of CO2 being emitted by their fleets. Here are a few ways we can all start to decrease our CO2 emission and help our environment! 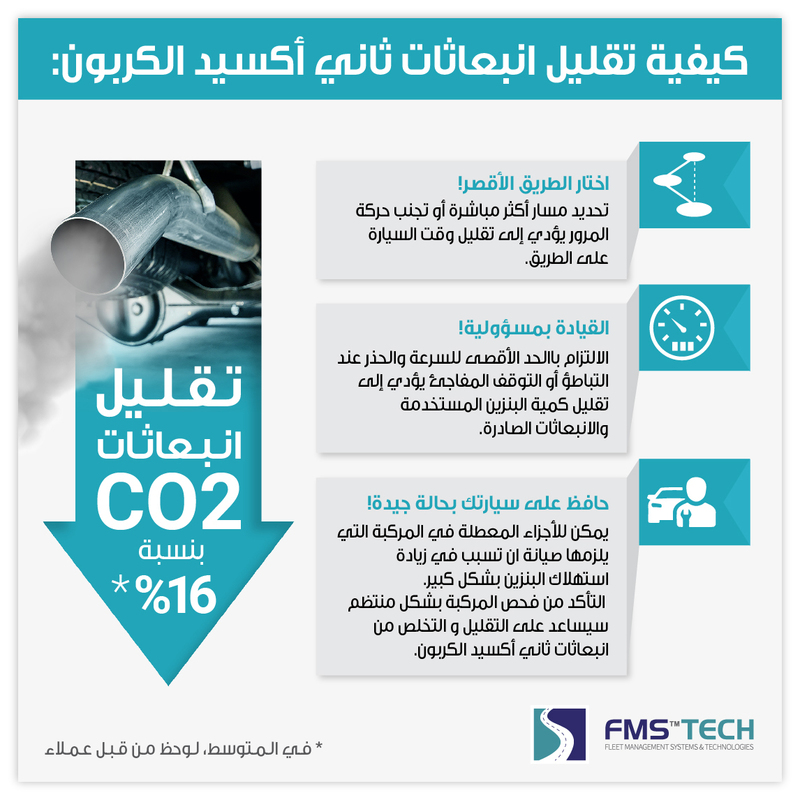 Reduce CO2 Emissions by 16%! Drive Responsibly! Driving the speed limit and being careful when slowing down or breaking reduces the amount of petrol used and emissions released. Keep Your Vehicle Well Maintained! Faulty or unmaintained parts can greatly increase petrol consumption. Being sure to have the vehicle checked on a regular basis will help eliminate such issues.